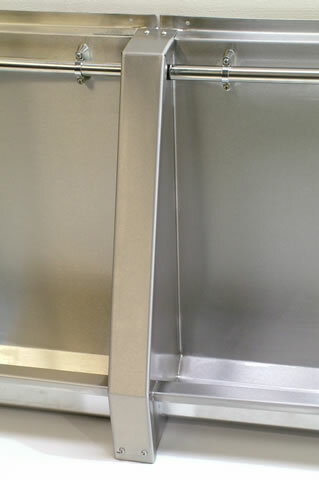 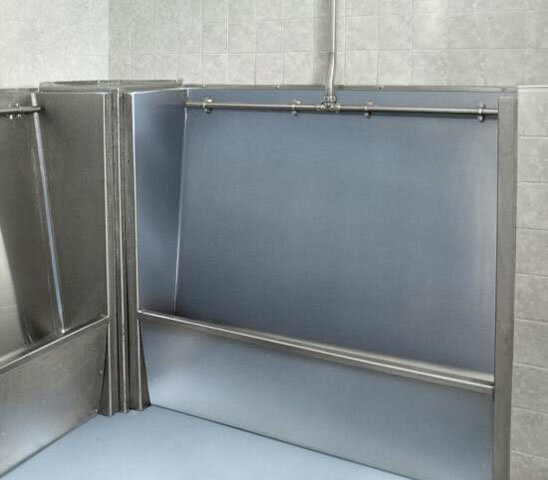 If access into a building is restricted or if lengths longer than four metres are required, urinals can be made in sections for assembly on site using a joint cover trim for straight joints or a corner capping for corner joints. 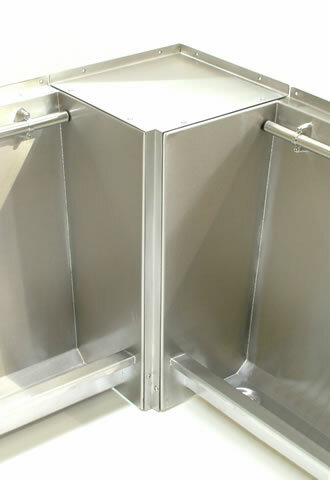 Each section is manufactured as a separate urinal with its own waste fitting and cistern, and the only tool required is the 3mm Allen Key supplied. 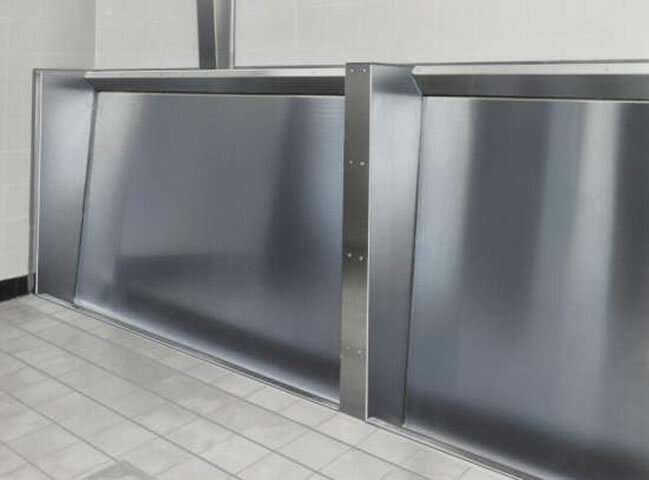 Using this system urinals of any size and shape can be manufactured and delivered in easy to handle sections, the only dimensions you need provide us with are the overall width(s) that you require, we calculate the allowances requires for the joint cover trim or corner capping.